Fashion Design Blog: last update on 2/23 for the 2015 FGI Scholarship Competition. last update on 2/23 for the 2015 FGI Scholarship Competition. 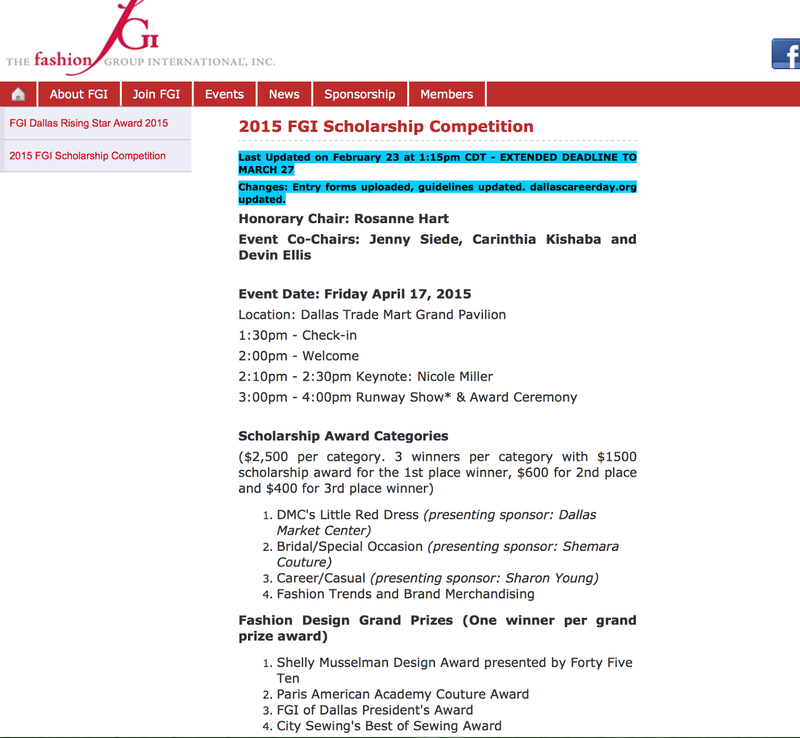 Visit http://dallas.fgi.org/index.php?news=3959 for the last update on February 23 for the 2015 FGI Scholarship Competition.